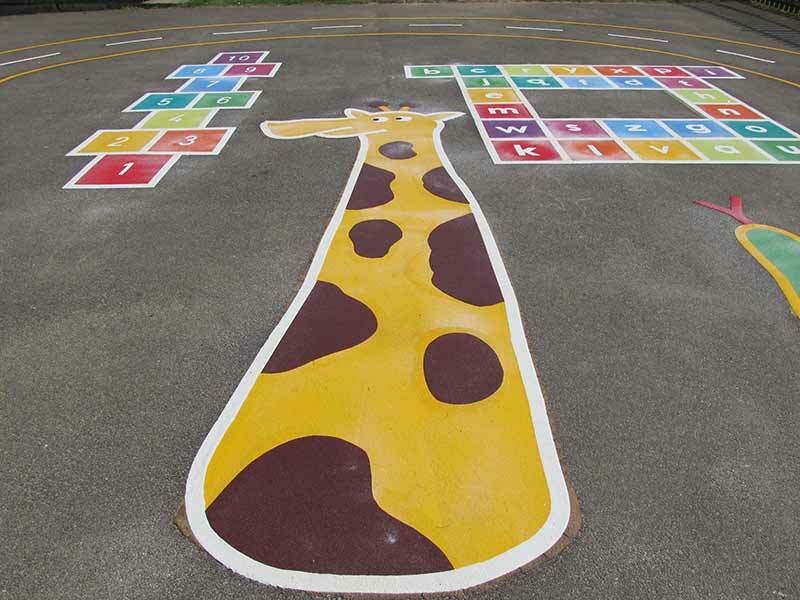 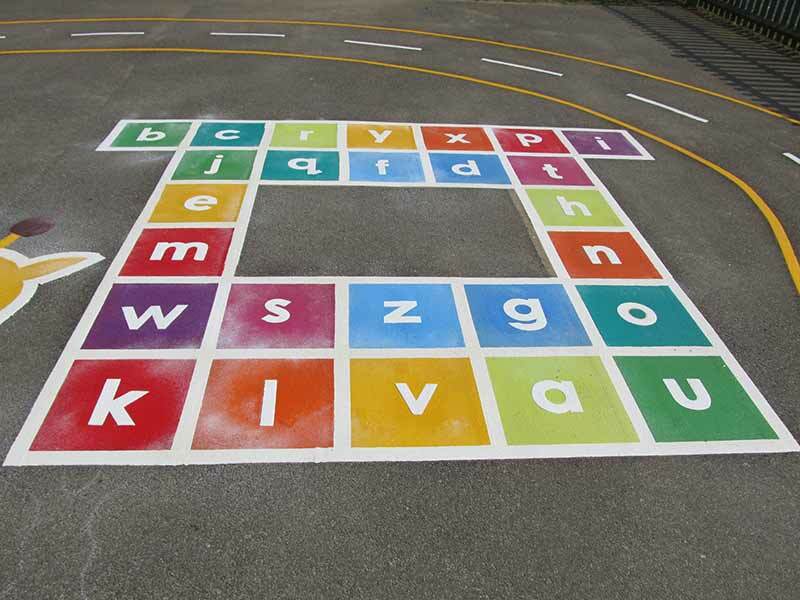 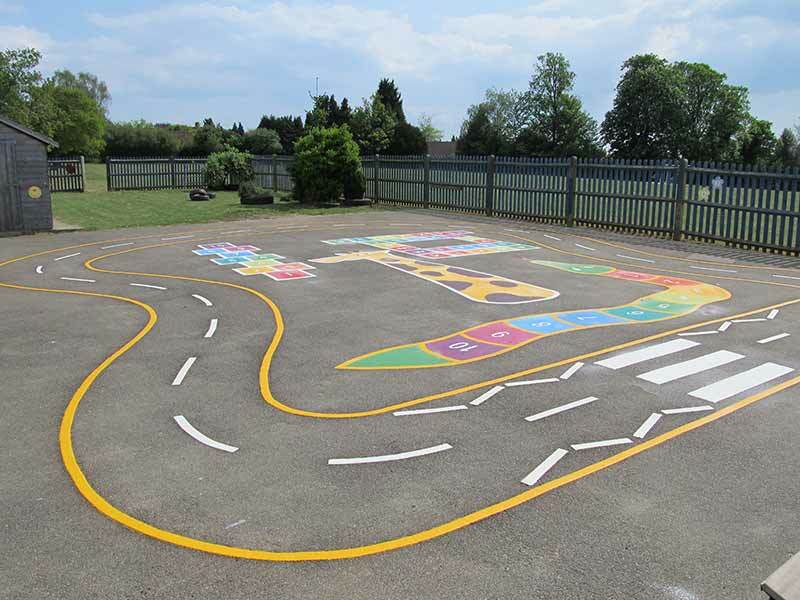 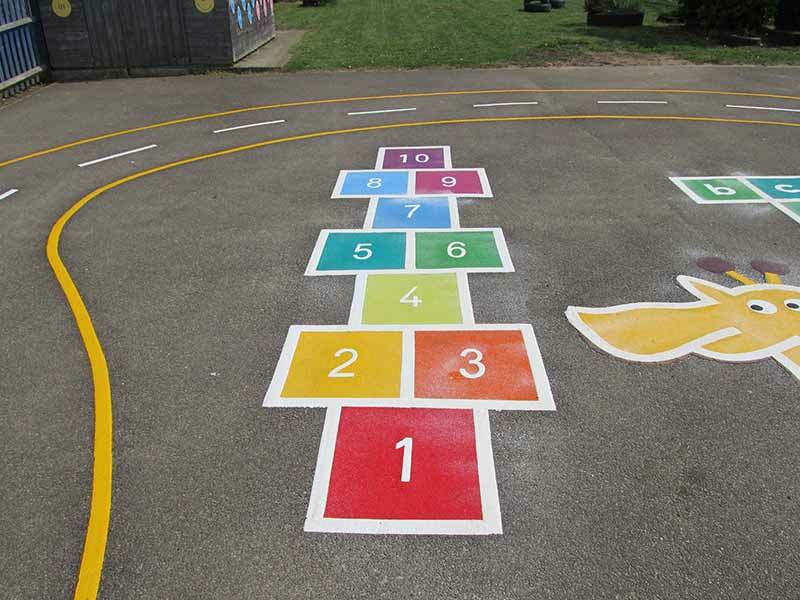 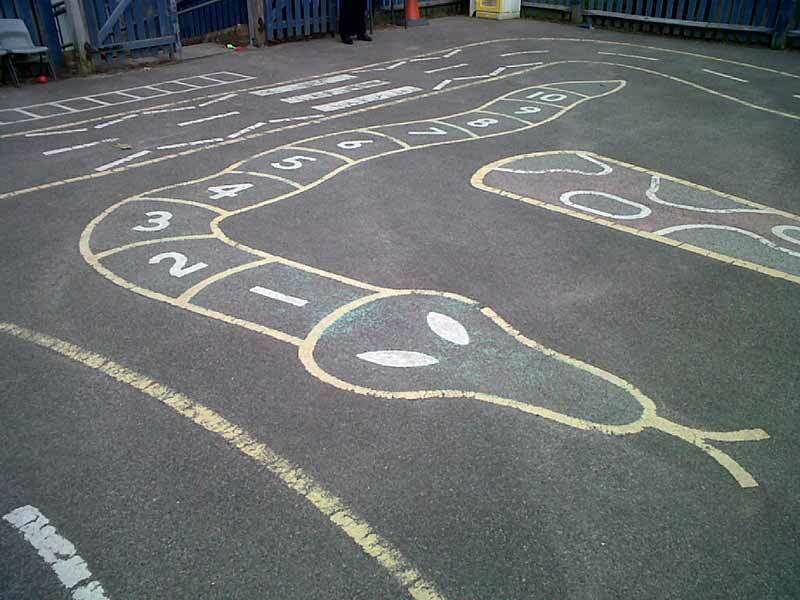 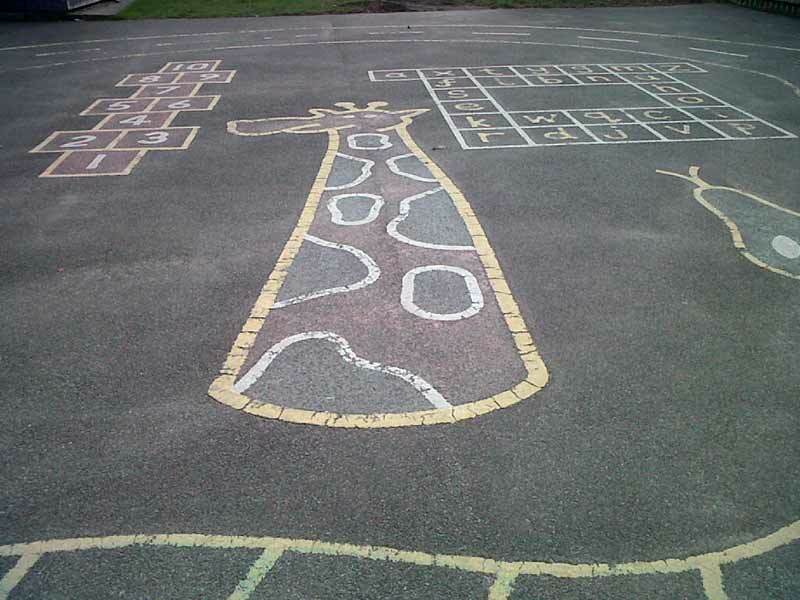 At Project Playgrounds we are able to revitalise old and tired markings. 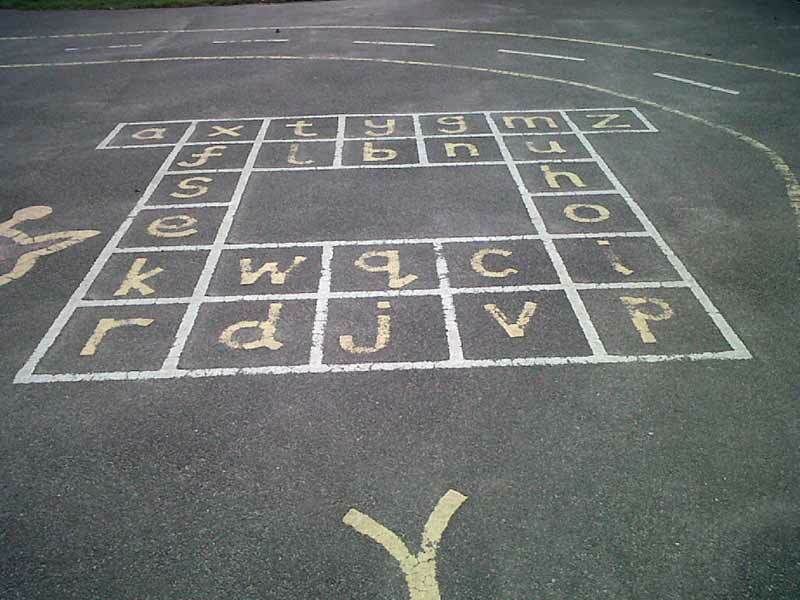 As you can see from the images below, this tired old hopscotch has been given a new lease of life. 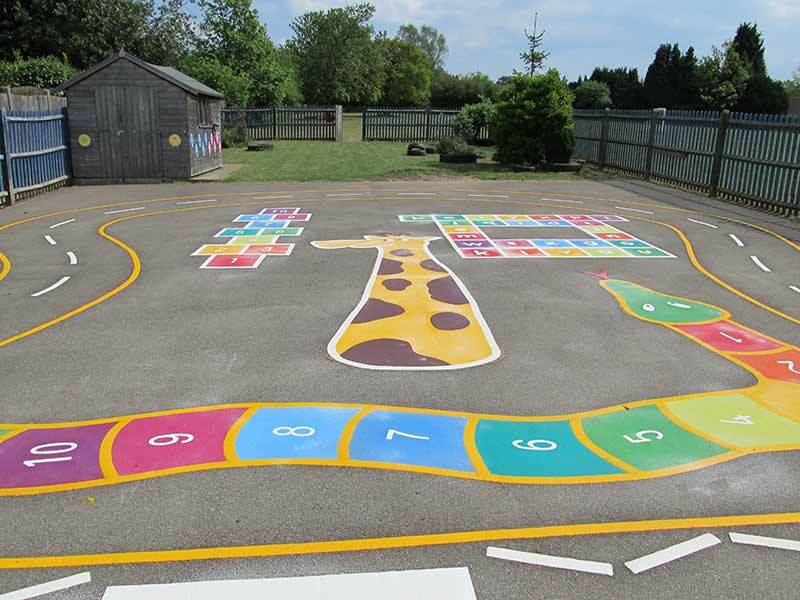 The image below shows the same principal being used to revitalise a Snail, however you will note that the body of the snail is now solid thermoplastic manufactured from sheet material. 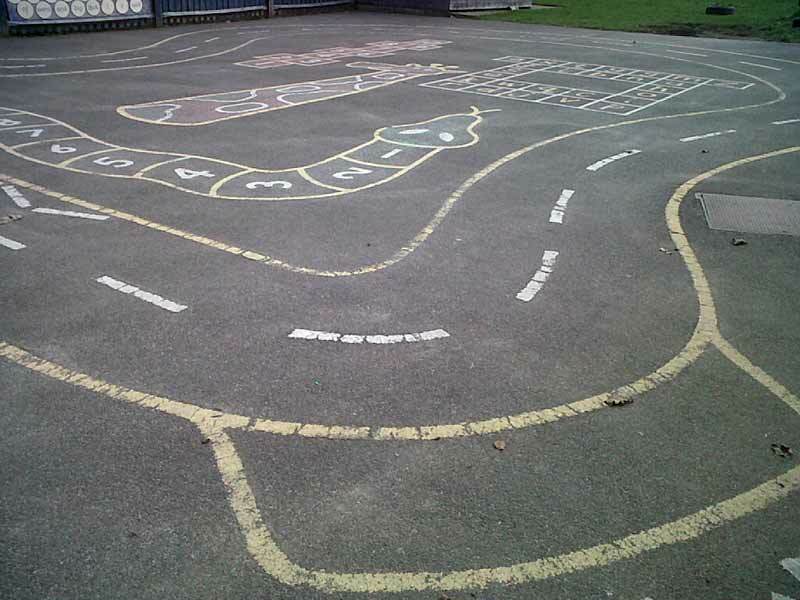 Once again the marking is colourful and ready for another ten years use. 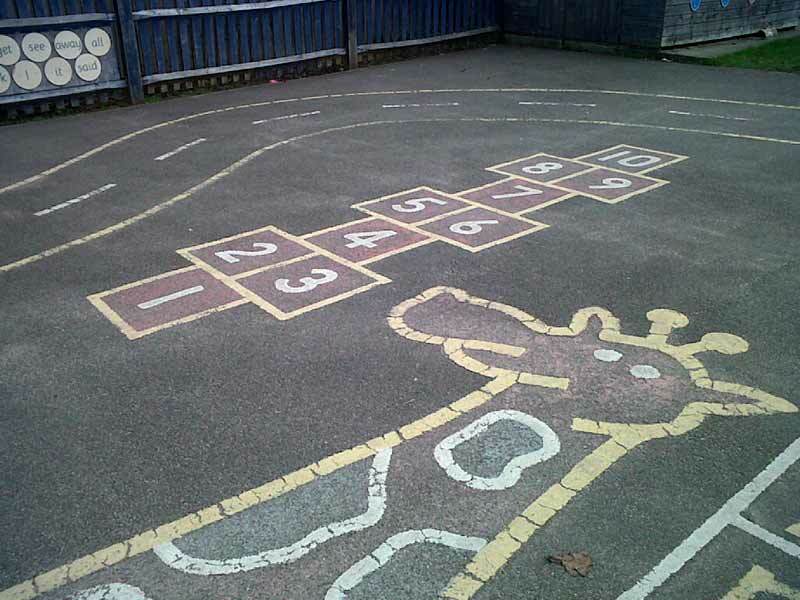 The image below shows two instances of relining using the total obliteration of the old marking. 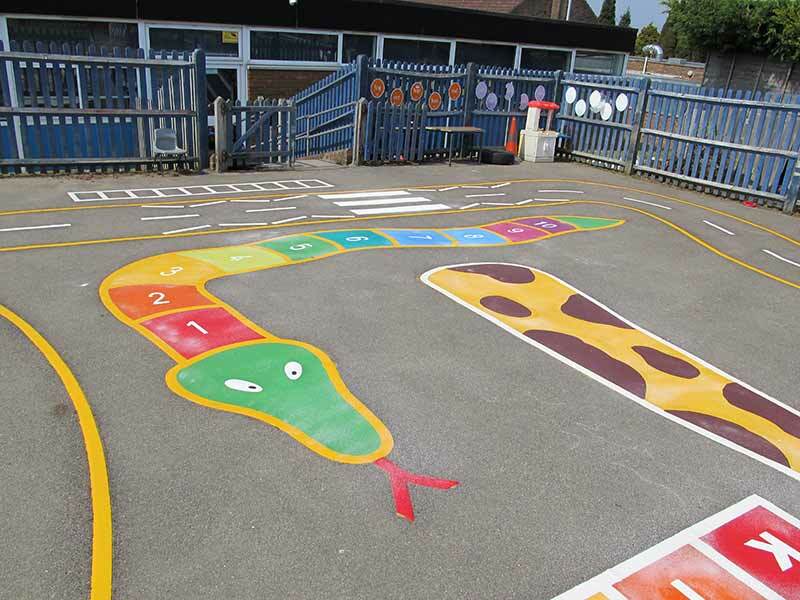 Both the compass and the snail are covering old and tired markings, and I think you’ll agree, they both look fantastic.